Do you need help convincing your significant other that having pet alpacas is a good idea? Perhaps you have a hobby farm and are looking to add a little bit of variety to your livestock. Maybe you want some friendly, curious animals for family and friends to enjoy when they visit. Or, maybe you just really, really like alpacas and have always wanted pet alpacas. Whatever your motivation for owning alpacas, here are a few additional benefits to having these wonderful creatures in your life. Having pet alpacas roaming and grazing on your property is very gentle on the land. Instead of front, upper teeth, Alpacas have a hard palette. They scissor off the grass with their bottom teeth instead of pulling it out by the roots. This keeps the field green and the grass coming back. Also, instead of hooves, alpacas have soft pads covered by toe nails. This means their feet do not dig into and damage the ground. If you are a spinner or fiber artist, pet alpacas are a great source of natural fiber. Suri alpacas will typically produce between 2-5 pounds of fiber each year, while Huacaya alpacas can produce 5-10 pounds annually. Alpaca fiber is warmer than wool, as soft as cashmere, and is hypoallergenic. You can have the satisfaction of fueling your knitting passion with yarn made from your own alpaca! Natural, organic compost from your pet alpacas is black gold for gardeners. It is virtually odorless, has few parasites, and won’t burn your plants. You can top dress garden boxes, fill flower beds, and improve your hasta gardens. What does an alpaca cost? As you can imagine, the answer is depends on several factors, including: age, pedigree, conformation, health history, proven breeder, fiber density, fiber quality, etc. You could pay $200 or $20,000. If your goals including becoming a top-notch alpaca breeding organization, you should anticipate spending several thousands on a champion female(s) and herdsires that will be the foundation of your farm for years to come. 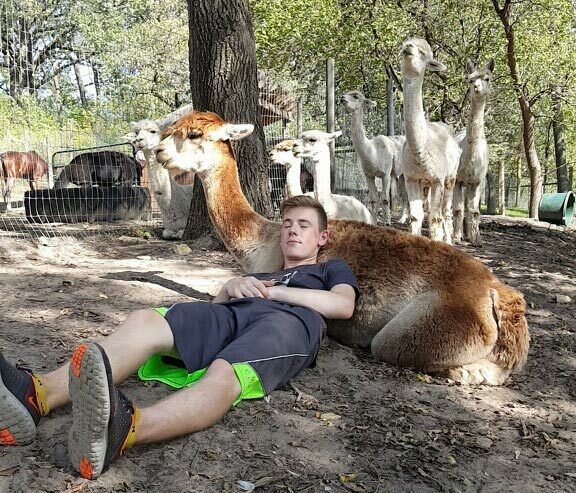 However, if you have more modest ambitions and are simply looking for some wonderful alpacas to beautify your property, many farms have alpacas available for a few hundred dollars. These animals are commonly referred to as “fiber animals” or “companion animals”. Don’t assume the low price means an unhealthy, bad alpaca. In many cases it simply means that a particular animal is not going to be part of their breeding program going forward. For example, we have a 9-year-old female (we’ll call her “Jane”) who is a proven breeder and a great mom. Her fiber is good and she has been incredibly healthy and friendly all of the years she has been on our farm. However, we also have her daughter and granddaughter as well. We have chosen to include Jane’s offspring in our breeding program going forward. Jane is a great alpaca that can be bred for several more years. Or, she could live out her days grazing and humming contently. The point is, many alpaca farms will discount animals they do not plan on breeding in order to make room for new ones. If you are looking for a pet, this is to your benefit! Breeders can design their breeding programs around: conformation, color, fiber density, fineness, nose length (really, its a thing), whatever. Just because one farm has deemed an animal as a “companion animal” doesn’t mean that it couldn’t be perfect for you. You can use Google, visit the Alpaca Owners Association website for help finding an alpaca farm in your area. Join alpaca-themed Facebook groups to help answer your questions. Schedule a farm visit, meet the animals up close, and educate yourself on the day-to-day care of alpacas. Whatever your goals, there are plenty of alpaca owners willing to help you get started.